Compounding Pharmacist and Naturopath with a graduate diploma in Clinical Nutrition. 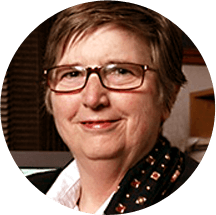 With over 30 years experience, Hilary is a Compounding Pharmacist and Naturopath with a graduate diploma in Clinical Nutrition. Hilary uses both the VEGA and the Nano SRT to test her clients then suggest remedies based on the results. She specialises in pain management, hormonal problems, herbal medicine and her own line of Hilary’s Herbals remedies. Her passions include pre-conception care, pregnancy and post natal care, peri-menopause, menopause, menstrual problems, as well as the thyroid and adrenals. 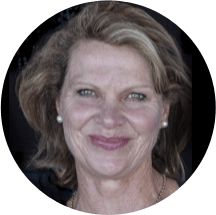 As owner of Ultra Health Centre, Hilary has broad experience based on being a Pharmacist, Cosmetic Chemist and a Naturopath, beginning in South Africa and now providing her invaluable services to Western Australia. Deborah is a Nutritional Naturopath, Certified GAPS ™Practitioner, and Dyslexia specialist. She joined the Ultra Health Centre in 2012, and focuses her work on babies, children and teens. The GAPS healing protocol is the foundation of therapy. Testing of nutrient status, gut health, hormones, parasites and heavy metals using energetic machines allows for accurate diagnoses and tailored treatment plans using nutritional supplements and dietary therapies.As a mother of four, Deborah understands the importance of pregnancy preparation. To reserve a place for an upcoming workshop, or make an appointment for a consultation contact the clinic 9389 7390. What is Digital Infrared Thermal Imaging (DITI)? This is a non-invasive clinical imaging procedure for detecting and monitoring a number of diseases and physical injuries by showing the thermal abnormalities present in the body. Ultra Health’s clinical thermographers come across from Sydney every six weeks to provide this valuable service. You can book in Monday thru Saturday, with the first appointment at 8:00 and the last at 5:00 for any of these six days. All scans are clinical thermography and read by doctors in the US. Madaleen Espach, originally from South Africa, is a Naturopath and Pharmacist. She also holds Advanced Diplomas in Nutrition and Herbal Medicine. Focusing on reversing cognitive decline, Madaleen also has special interests in mental health issues, auto-immune diseases and teen health. Madaleen is currently at our clinic on Tuesdays. 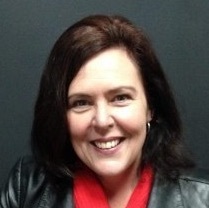 ​Cathy Brown is a Western Australian author, healer, international retreat facilitator and the founder of Life XL. Cathy offers hypnotherapy and reiki in the form of energy sessions. She is a Clinical Hypnotherapist and focuses on Stress Management and Cancer Support. Author of “My Answer to Cancer, An Inspirational Story About Life”. 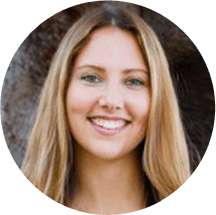 Laura is a degree qualified Naturopath, Clinical Nutritionist and Medical Herbalist with a Bachelor of Health Science in Naturopathy.Her mission is to make health achievable and accessible. She is a firm believer in the inherent healing intelligence of the human body and is committed to helping her patients set realistic and achievable health goals, whilst empowering her patients to create long-term change.Laura bases her therapies on both traditional and evidenced-based medicines and a through understanding of her patients. An advocate of integrative medicine, Laura has a particular interest in thyroid conditions, IBS and digestive conditions, parasites, hormonal acne and stress management. Laura allows time to really listen to her patients and uses the Nano SRT and the latest scientific testing including blood, urine, saliva, DNA and stool tests to thoroughly examine her clients and suggest remedies based on the results. This holistic approach enables Laura to tailor her treatment to the individual, which can include nutritional medicine, dietary therapy, herbal medicine and lifestyle guidance. Laura will refer to, and work with other health professionals as required, to ensure the best clinical outcomes.Laura is committed to ongoing education to keep up-to-date with the most recent evidence, where she attends regular seminars and continually conducts extensive research to ensure her treatments are safe and effective. 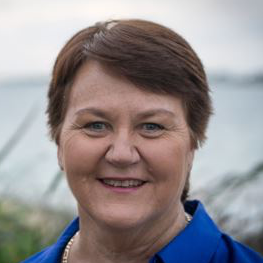 She is a member of the Australian Natural Therapists Association (ANTA) and conforms to their high standards of practice.When you are ready to start accessing the health you know is possible, she is ready to work with you.Laura practices at the clinic on Mondays and is available for consultations from 9am-5pm. helping people achieve their health goals through integrative and holistic healthcare. Rachel’s philosophy to care is based on empathy, empowerment and enrichment. assist them in leading healthier and happier lives.Rachel’s passion for complementary medicine arose from her own health challenges as an adolescent.